You need an attorney that you can be confident in. Trust Martin & Tune to prioritize you and your family's best interests above all. You should have lawyers on your side who know exactly what they are doing. Trust that Martin & Tune, LLC gathers and examines all the details of your case when you turn to our firm. We also decide on the most effective course of action to take on your behalf. Connect with our team for legal assistance when you have a family law, business law, or domestic law case on your hands in Whitehouse, New Jersey. Martin & Tune, LLC is a trusted law firm serving all of New Jersey, and providing family law and business law assistance for those in need. With our experienced Whitehouse attorneys on your side, we will help you navigate your unique circumstances with ease. For family matters, the attorneys at Martin & Tune, LLC take an in-depth approach that is different from most lawyers. Whether you are going through a divorce or re-evaluating child custody arrangements, you will have someone guiding and helping you understand the process. Emotions may be at an all-time high for you, but you can count on our legal specialists to guide you calmly through this storm. For legal matters involving your business, we will keep the best interests of you and your enterprise in the forefront of our minds. Trust that our attorneys will do whatever it takes to reach favorable case resolutions, no matter the situation at hand. From business-to-business litigation to internal legal assistance, you will get the help you need from our team. Retain counsel from our Whitehouse business lawyers today. or forming a new business, we are here to help you. Our Mission Statement There is no such thing as a “one-size-fits-all” case. 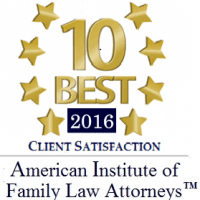 Getting involved in litigation is overwhelming, expensive, and can force you to balance the emotional health of your family and finances. You will need help to navigate through the chaos of uncertainty, and will benefit from a professional who is dedicated to helping you understand the process, offer perspective, and explain the law so you can make the most informed decision. Located in Whitehouse, New Jersey, the attorneys at Martin & Tune are dedicated to helping you understand the process. We believe every case is different, and you deserve to feel confident that your attorney is helping you make the best choices for your life.